So, you have an aircraft (or are renting one) and want to help a political candidate fly to some meetings, rallies, parades, or any other type of event in furtherance of their election efforts. There are some rules here that few pilots ever think about, but should if they are going to do this type of flying. Now, before you think this is going to be some sort of political piece, it isn’t. I don’t care what party or for whom you may want to provide some help. As a pilot who used to work with political campaigns many years ago, I got introduced to the concepts of campaign contributions, whether direct financial ones, or in other forms of help. When an individual (or any committee, corporate interest, etc.) helps a candidate, there are some restrictions that must be adhered to for compliance to be maintained. These are set forth at the federal level by the Federal Election Commission. But I am getting ahead of myself slightly. Let’s talk about some FAA regulations first. Yup, that was the radio call I heard. Obviously, location and aircraft number have been changed to protect the pilot, an instructor, who made this call. When I hear this on the radios I think there was actually a problem. But nah, they were just practicing. Verbalizing a potentially catastrophic event like this on a radio frequency can give those listening on the frequency the incorrect impression a real emergency may exist. It is important that instructors teach emergency procedures to their students and customers, but it is also important that they are careful in their communications about their actions on radio frequencies to avoid creation of the impression that an emergency may exist. It is common for pilots to miss radio calls when they are trying to listen to ATIS, AWOS, and/or AWOS. Sometimes it is embarrassing and other it can become a problem if that missed call was ATC trying to get you to change course or altitude to avoid other traffic. One reason that I have noticed that many pilots miss these calls when listening to weather is that they listen to the weather broadcast too loudly on their second radio while still trying to listen to their controller on their primary radio. IFR pilots (or applicants on practical tests with me) will readily tell me the different types of VOR checks available, and many will even be able to find designated points they can use, but fewer apply some of the more practical questions related to VOR tests for IFR navigation. Let’s assume you remember the types of tests you can do (dual, FAA designated check points of which there are a couple options, and having an avionics shop check the devices being the most common methods) and that you also recall that when you do a check you have to log where it was done, when it was completed, who did the test, and the error that was present (if any) to prove it has been done within the preceding 30-days. From here, let’s ask a question. 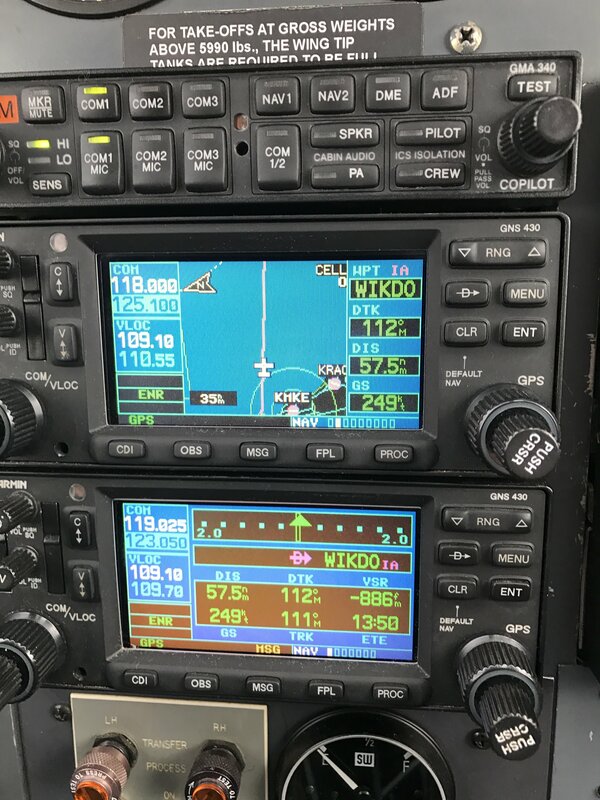 Most pilots do “dual VOR checks” as the most common method of testing. For this test, in the air, an allowable difference of no more than 4-degrees is required to be useable. Ok, most of you are with me so far. But, and here is the question.